Using a 128-bit Filesystem Syneto Storage has no limitations of volumes, raid sets or capacity. It uses software defined raid sets like mirrors or parity. Thanks to the checksum technology this offers end-to-end data integrity and a self healing mechanism. The data is being written based on copy-on-write principle, offering the ability of instant snapshotting and cloning without consuming physical capacity. The Hybrid pool features enable you to make benefit of the SSD technology to accelerate your traditional diskpool. 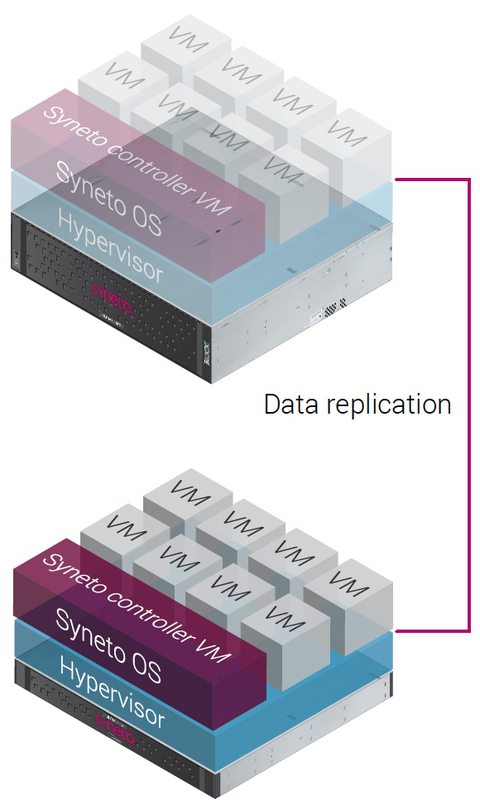 Syneto is also offering a built-in hypervisor which allows you to run your virtual machines inside the storage infrastructure, simplifying your environment and lowering your TCO. Accelerate your journey to the hybrid cloud by combining the agility, elasticity and economics of the public cloud with the security, performance and compliance of the private cloud. More performance for applications, compared to traditional IT infrastructures. To restart your entire IT infrastructure after a disaster, using the integrated DR unit. Backups per day for every application in your infrastructure. "We were able to easily integrate the Ultra Series array into our existing storage environment. The result has been a dramatically improved infrastructure with much faster retrieval times and significantly increased productivity. Syneto has allowed us to reduce administration times from several hours per day to just several minutes." Applications running on the HYPERSeries 3000 perform 5 to 20 times faster when compared to virtual machines, deployed in a traditional infrastructure. The technology inside the HYPERSeries 3000 ensures up to 90% of an application’s data, is served at nanosecond speed directly from the RAM memory. Advanced hypervisor passthrough technology and built-in 10 Gbit virtual networking, improve application performance even further. Where required, business critical applications can be deployed on a dedicated all-flash data pool, for ultimate performance. Sometimes, bad things happen and when they do, you want to get back up and running fast. The integrated Disaster Recovery of the HYPERSeries 3000 allows you to restart your entire IT infrastructure, on the secondary DR appliance, in just 15 minutes. Backups of your application data as well as files, are replicated to the secondary appliance every minute, so you never lose more than 60 seconds worth of your valuable work. The HYPERSeries 3000 DR unit can be located either on premises or off-site. This ensures an extra level of protection, as both units cannot be affected by the same disaster. Because we know business agility is key, files can be restored from local backups instantaneously. All Syneto products share a unique set of key features. These technologies are the secret behind our ability to offer unprecedented performance, flexibility, transparency, security and protection. All-flash and hybrid data pools in a single product. Multi-layered data protection: at HDD, file and application level. Always-on data integrity monitoring and automatic self-healing. 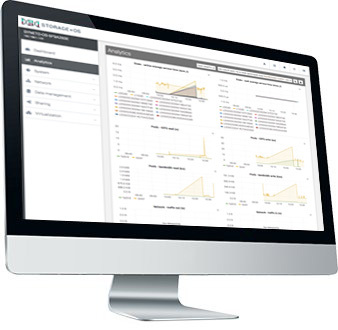 Granular, configurable and long-term analytics for the entire infrastructure. Incremental, consistent VM and file backups with on/off-site replication. VMware integration with vSphere plug-in over API. This is where applications and services run under normal circumstances. This is where data can be retrieved from or applications restarted in the event of a disaster. The Hybrid option contains both regular HDDs as well as SSDs. They are combined into a single data pool which can be used to run typical virtual server workloads like e-mail and domain servers. The Hybrid2 (double-hybrid) option contains an additional, separate all-flash data pool which can be used to run high performance virtual applications like databases and ERP servers. The HYPERSeries 3000 ships with integrated Disaster Recovery capabilities. This allows you restart the entire IT infrastructure, in just 15 minutes. It offers full recoverability of all your data and applications, with no 3rd party backup software or other services required. DR Play: restart all of your IT infrastructure on the secondary DR unit, within 15 minutes of a disaster. 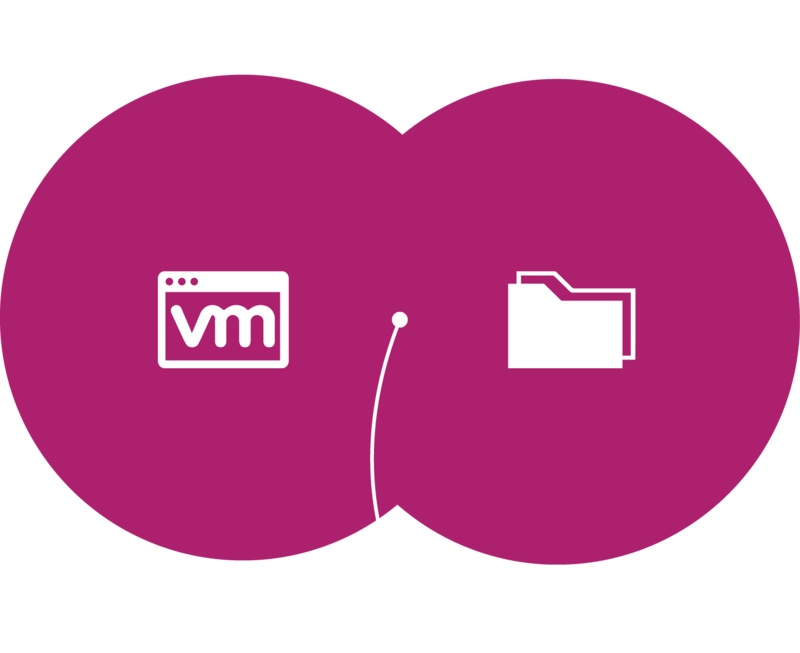 The HYPERSeries 3000 can host all of your applications, and store all of your files, at the same. Instead of investing in a separate file storage infrastructure, the HYPERSeries can store and share all your Windows, Linux or Mac files with ease. The files stored on the HYPERSeries 3000 benefit from the same range of data safety, efficiency and Disaster Recovery features as your applications. developped by Syneto's software engineers. Easy to use with a user-friendly and modern UI including 24/7 support. S3S & Syneto are great partners when it comes to Data Storage! If you wish to receive a free demo or in-depth information, don't hesitate to contact us.